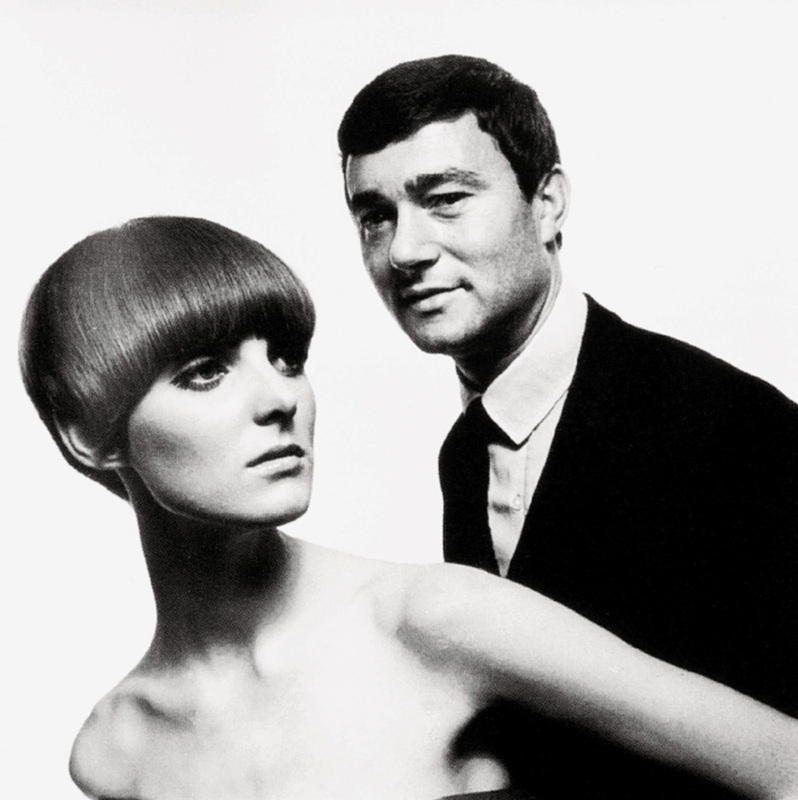 Vidal Sassoon with bold geometric cuts bearing equally graphic names, the Five Point, the Asymmetric, did more than upend the beauty industry: He was a pivotal figure in the 1960s style revolution. 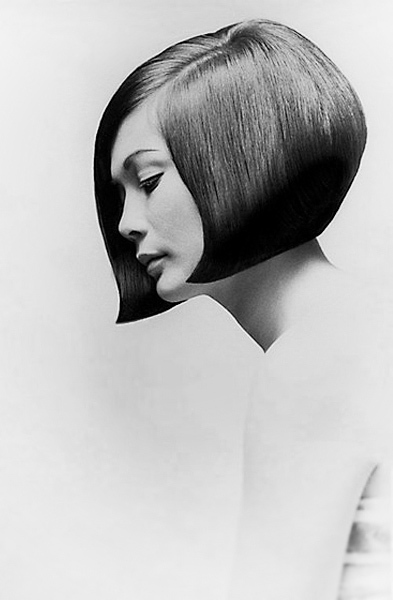 Actress Nancy Kwan had long thick hair down to her waist before Sassoon cut it into this chic bob. 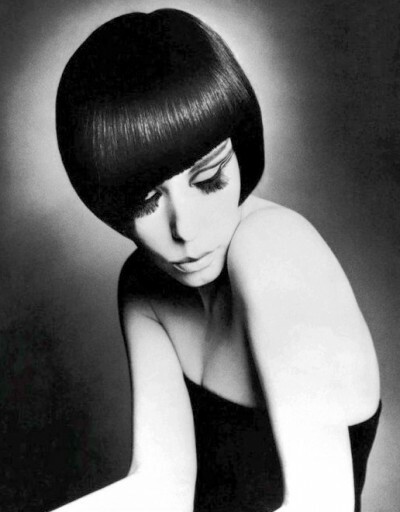 1968 issue of Vogue by Terry Donovan. 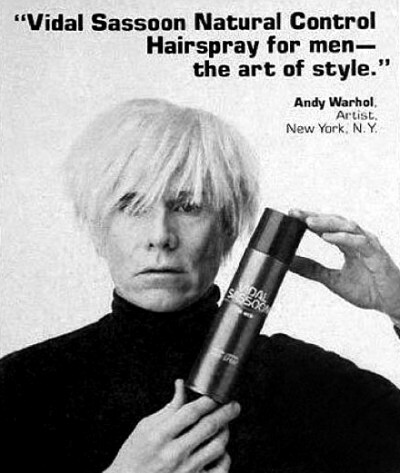 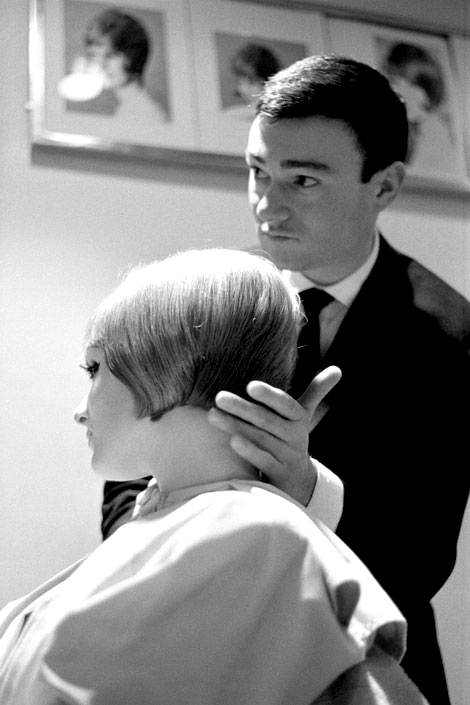 Sassoon opened his first salon in London in 1954, he was about “getting rid of the superfluous”. 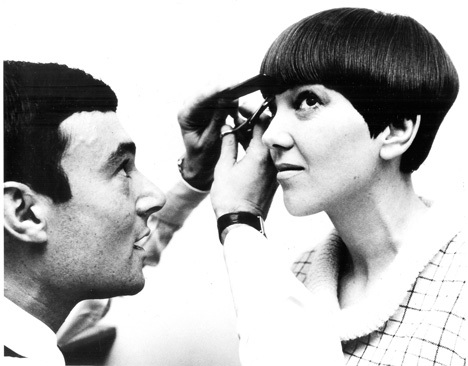 Grace Coddington with Vidal Sassoon’s bob cut. 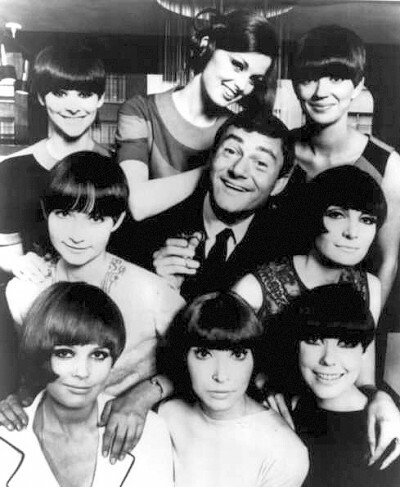 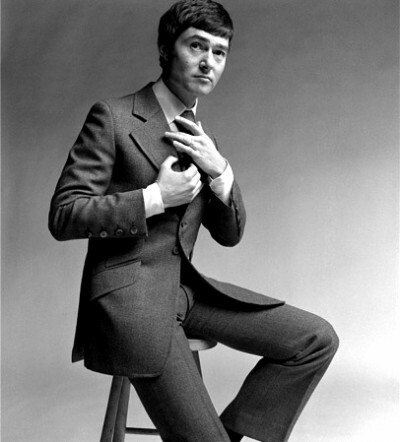 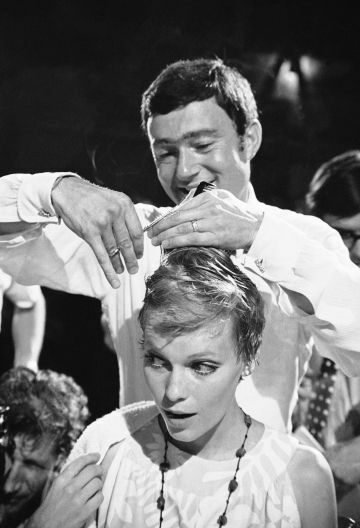 “If you get hold of a head of hair on somebody you’ve never seen before, cut beautiful shapes, cut beautiful architectural angles and she walks out looking so different – I think that’s masterful.” Vidal Sassoon. 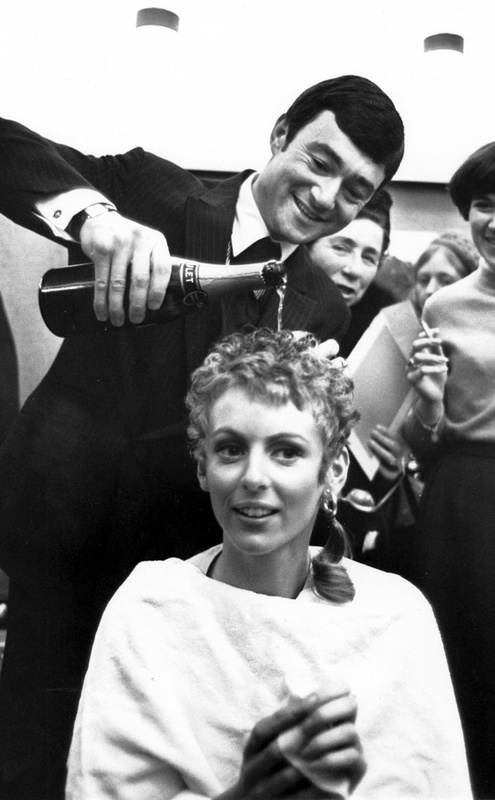 Mary qunat having her hair cut into a sharp style by Vidal in 1964. The pair became great friends and together are credited with creating the iconic look of the Swinging Sixties. 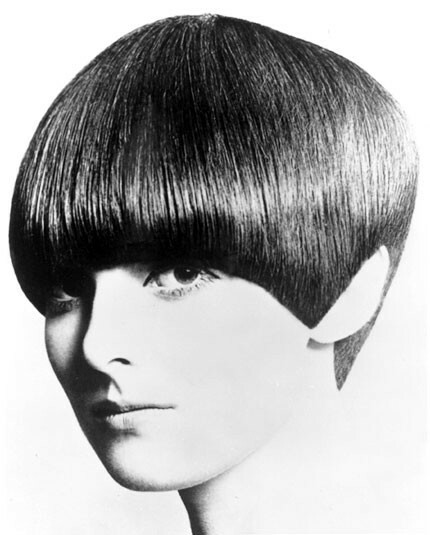 Sassoon’s architectural styles fell into place with just a toss of the head, he led a change that was not only aesthetic but cultural. 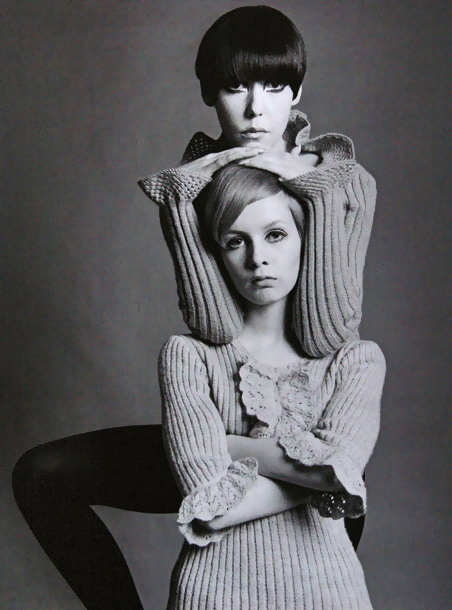 Iconic models Twiggy and Peggy Moffitt sporting Sassoons’ cuts. 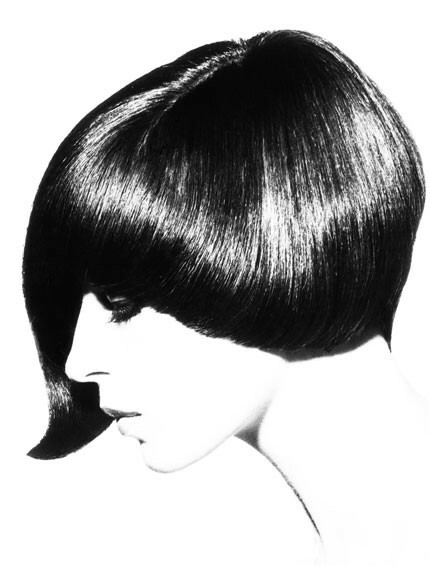 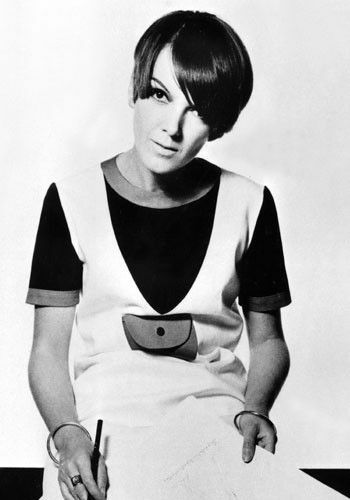 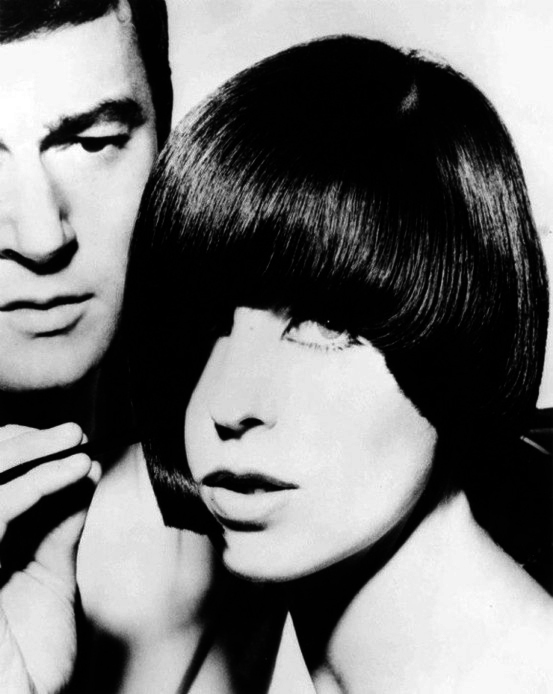 The mod muse for designer Rudi Gernreich, Peggy Moffitt, made Sassoon’s asymmetrical five-point cut her signature look. 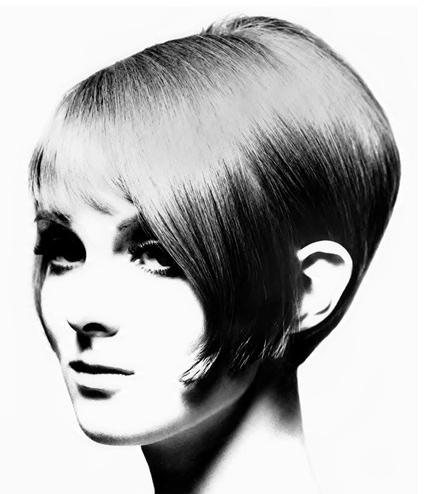 Now in her early seventies, Moffitt still wears her hair in that style. Vidal Sasson here with fashion model Grace Coddington. 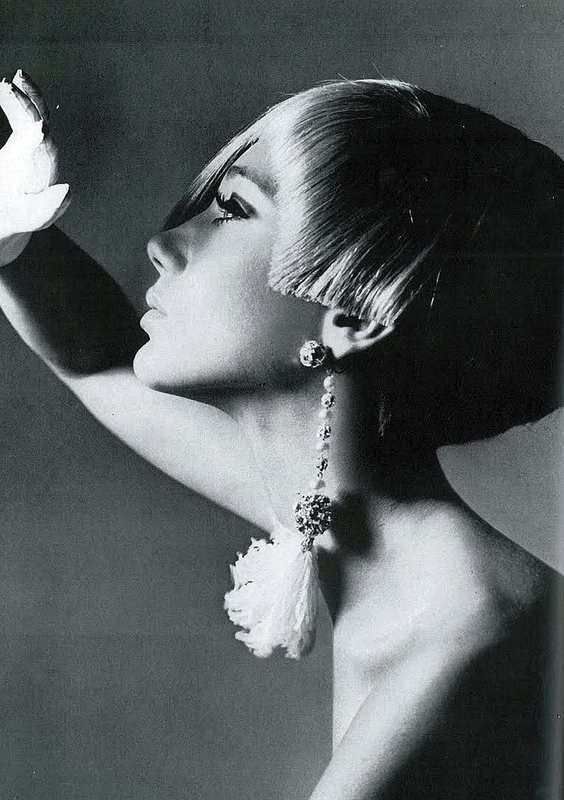 Marisa in short blond wig styled by Charles of Vidal Sassoon, photo by Bert Stern, Vogue US 1965. 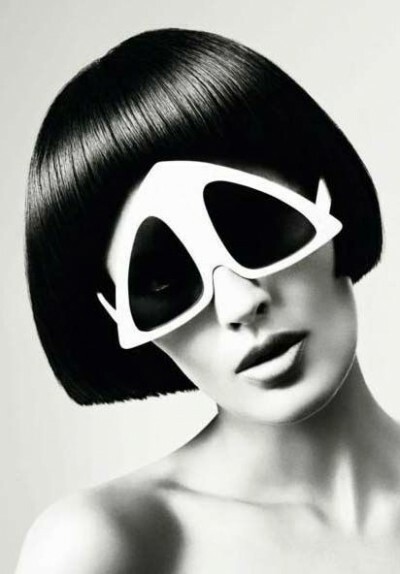 Oliver Goldsmith sun glasses. 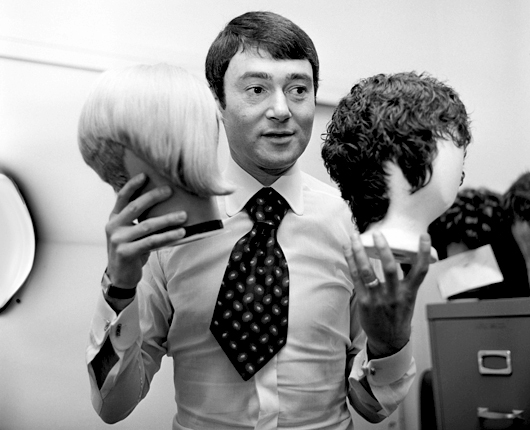 1972 exclusive design for Vidal Sassoon. 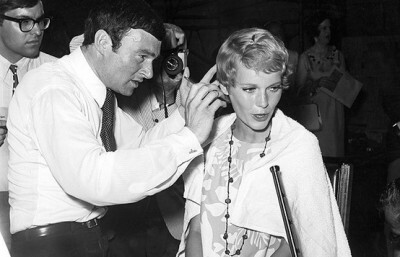 The photo shooting, which took place in a Hollywood boxing ring surrounded by press and photographers, was actually a stunt orchestrated by the film’s director Roman Polanski.